Many students are baffled when the time comes to compose papers. Plagiarizing is strictly prohibited. In fact, the prospect of being kicked out of school if you are caught doing it is real. But what is to be done? Because the sources must be used anyway, it’s part of the learning experience. The answer here is quoting. If you want to include a theory or an argument or an example that you found in another person's work, just quote it! mention their name, their work and the page, and you’re all set. Simple, right? But the rules and schemes still must be applied, and they are confusing to a newbie. We’re here to help. There’s no better style, or the best for that matter. Scholars of course have their favourites, some refer to MLA, some use only APA. Ultimately, it depends on where the paper will go. Is it internal assignment? Is it for publishing in a serious journal? Is it for your blog that focuses on science? The chances are, you’ll have the requirements set out for you from the start. And then your task is to only put your citations in a needed format. If you have doubts, what to use, utilize those office hours your teacher must offer! 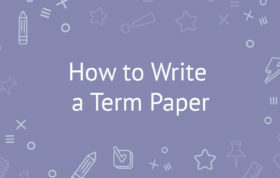 They will clarify the vague points of the assignment and armed with knowledge, you will know how to go about adding info from your source text into your own precious work. Include the number of the page where the quote ends. Bear in mind that you should, using your own unique lexicon, mention a few things before including the intended quote. If you are to add a quotation without presenting a few ideas before it, you will bring confusion to your writers for they will have a problem comprehending the point you intended to put across. As you are through with the process brought forward, ensure that a period has been added to enable the reader to understand the quotation better. Many individuals reason that “Art has no value these days.” (Clark 33) while others argue the opposite. Chunky fragments of work have other regulations. If you choose a longer quote, ensure it’s imbedded well in your own. Long means anything more than 4 lines or 2 verses. More so, you don’t have to use the quotation marks because the quote that is going to be introduced can be by using a line of text, or even a colon. The only part in the piece that should be indented is the first line. Half an inch indentation is what’s needed from the left side of the page. At the final part of the fragment, ensure that double spacing is not modified. Make sure that you’ve added a period, the writer’s last name and finally the number of pages should be indicated in brackets. In this book of many short stories "The Things They Had," the author here briefly describes the harsh reality of war whereby bringing out the emphasis that nothing good that comes from it." Gladys in the poem she composed, puts across a compelling message, "Still I wake up." You may punch me with the words you speak. You may despise me with how you look at me. With your hatred, you may pursue to eliminate me, But like a feather I still, soar. (15-20). Use of ellipsis (..) When you are required to leave a piece of no importance to your work. Here is how it is done. Flounder reasons that many university students “Prefer creative activities over boring theory. (78). When you are citing a fragment that has many authors, you will have to use commas and conjunctions between their names. Here is an example to clarify what we mean: Following the observations of a lot of investigations, MFA programs “Contribute in the best way possible in aiding armatures in the field of writing, to become successful in the future. When a short piece is being quoted, the number of words that are typically used is 40 words. By adding the writer's final name, mention the year of publication, the number of pages while using in advance the page number, the letter “p”. As Coval stated (2000). “Global warming is a dangerous outcome of capitalism.” (p34). She points out “Big corporations are the first and foremost influence on our climate and they need to start taking warnings seriously and contribute to green way of life.” (Coval p 34). The same techniques are used for this. Include all the references you usually use but you have to remember to give a longer fragment its special place in your work. Distinguish it by using proper spacing - half an inch should do - before the first word. Finish it with author's name. It’s not, however, a solid rule. You may insert a long-ish quote in the middle of a paragraph if you feel like it fits there best and benefits you and your audience there. The use of citation marks correctly has been a subject of confusion for many students. All in all, we hope that you find this guide useful as you strive to be competent in writing using quotation marks. If you still find it challenging, don’t shy away from requesting help. We have professional writers available to help you on an one on one basis, contact us any time you need help!